Why is my Heating Unit Blowing Cold Air? There is no worse feeling than switching on your heating unit only to find that instead of some nice warm air, you feel a gush of arctic air. There are several reasons why your heating unit is blowing cold air. Don’t worry though. We’ll walk you through some of the most common causes of this frustrating problem. That way you can get your house back to a comfortable temperature in no time at all! There are several different simple factors that may be the reason why your heating unit is blowing cold air. 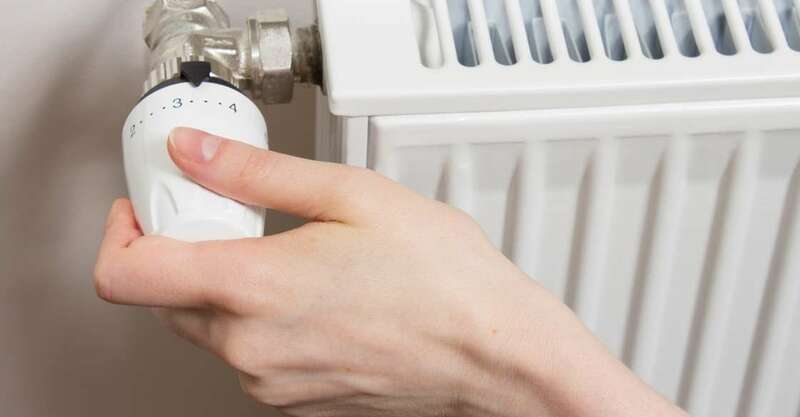 If you haven’t used your system for a while, you will need to wait for a little for everything to warm up and also confirm that you have set the temperature correctly. If you are still feeling chilly then the problem may be in the thermostat. Check and make sure the batteries in it are in good shape. You also need to check the fan switch. Generally, you have a selection of “off,” “on,” and “auto.” If it has been toggled on, then the furnace fan will blow continuously no matter the temperature it’s set on. Our last tip is that you check the temperature around your other wall heater components. If you are in a hotter room, then the air will blow at a lower temperature. You may need to move your thermostat elsewhere or have it recalibrated which is an easy fix by one of our Global Heating and Air technicians. Now you are starting to get into the territory where you are definitely going to want some outside help, especially when your heating unit is blowing cold air. If your thermostat doesn’t use batteries, then it typically is connected to an electrical breaker. You may just have a small problem such as a tripped circuit breaker. This is a simple fix, but if it keeps happening then it may be an indicator that your gas wall furnace needs repair. There are several things that can cause this. When a system overloads then it will get too hot causing the breaker to trip. It could also be a problem with dirty air filters or coils causing it to overheat. Whether it’s an electrical issue or an HVAC system, you will want one of our certified professionals checking it out for you. Diagnosing a problem in your ducts is a little trickier. Remember, the ducts are the channels through which the warm air travels. Everything starts with your furnace and radiates outwards and if your heating unit is blowing cold air or there is a weak stream, you may have a ductwork problem. The design of an HVAC system handles all kinds of temperature, but wear and tear happen over time. It’s a good idea to have them periodically inspected to make sure there are no holes or other issues in them. If you have gone through the basic steps and still your heating unit is blowing cold air then you definitely need to consult with one of our trained professionals. There are many different causes of a fuel pump issue to an electrical malfunction and so many other reasons. Save yourself the stress and the hassle and call one of our Global Heating and Air technicians today so you can be back to feeling warm and cozy in no time at all!